I love the moon! The stone in this pendant is a bright creamy green. 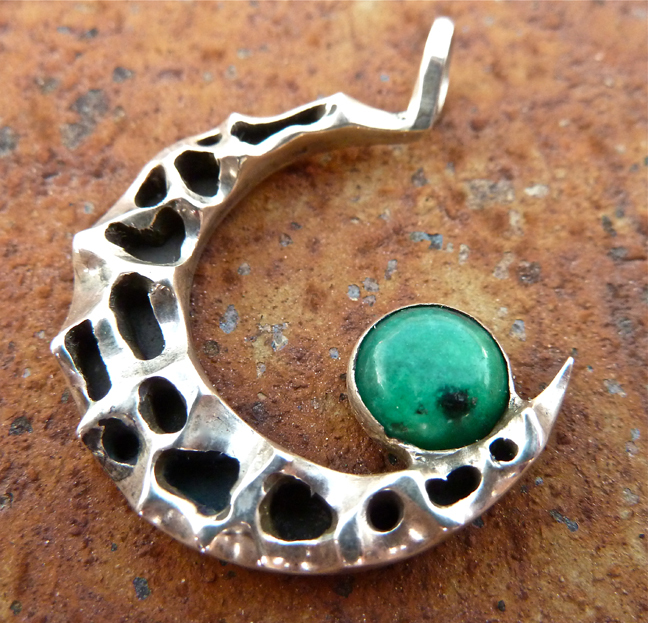 This is a hand-carved silver and aventurine crescent moon pendant. In many philosophies, the moon is considered to have a feminine or “yin” quality. In astrology, the moon represents our emotional nature. Green aventurine helps to balance qualities of the heart chakra, or our “feelings”. Each moon pendant is one-of-a-kind (as are all of my hand-carved pieces).